Sizes: Euro 37 (US Womens 7) - 43 (10-11). I normally wear a US 7 and I'm wearing a 37, and I typically wear a 36 or 37. The size on the boot says that I'm a women's 4.5 which is so wrong! Item for review provided by MotoNation. I'm selling Another used pair of these, in the same size. Please check out my eBay listing here. Thanks! Update 6/9/2015: I crashed in these boots going ~40-45mph in a right hand turn. My foot was pinned between the bike and the ground for about 20 feet. My feet were bruised but nothing broken! I've also changed out the Dr Scholl inserts for these lifted insoles to give me a tad more height so when I put my left foot down it's totally flat and I don't have to shift my weight to the left anymore. Win Win! I never thought a pair of track boots would ever replace my favorite sport touring boots. Well, after about 3,000 miles in these boots (1,500 from 2 long weekend trips), I'm a convert. For most of my riding history, I've worn my beloved Daytona Ladystars. They're definitely the ultimate sport touring boot. The only thing that makes that boot better than these, for me, is the GORE-TEX liner. Unfortunately these aren't waterproof. If they were, I'd probably wear them year round. Initially, I was worried since they're shorter than my Ladystars, since I've come to rely on those for a little more stability. With a 30.5" seat height, it's nice to have a little more lift from my boots. But my SV doesn't weigh very much, and with a low center of gravity and skinny tank, I've really gotten used to being on the ball of both feet and now, essentially on my tiptoes. The Vertigos don't add any height. In fact, they've taken away almost a full inch from me. In reviewing these boots, I had to wear them as much as possible. I have simply gotten more used to my one foot technique (and less afraid of it), and more often than not, that's where self confidence comes from. I know my limits. I know when I need to hop off my bike and park vs. walking it backwards. Before I started wearing these, I thought that because they're articulated for sport riding position that they would be really uncomfortable to walk in. Not at all. Although they aren't designed for being on your feet for more than a few hours, I was able to extend the comfort level of these boots by 6 hours! So how did I gain back some more height and comfort? It was the addition of 2 Dr Scholl's inserts. They also made them fit better which I'll explain in the Fit section below. Now, the fit in the forward part of the footbed was perfect to begin with. So I didn't want an extra thick insole in that part. I only wanted more arch support and additional heel height. By adding both of these insoles, my heels are higher off the ground so that means when I put the ball of my foot down, almost the entire boot is making contact with the pavement (still just the left leg, because I can't flat foot both feet. And when I put both feet down, I'm almost at my tiptoes). This also relieved some of the strain on my high arches. And that's how the Ladystars are designed inside as well. 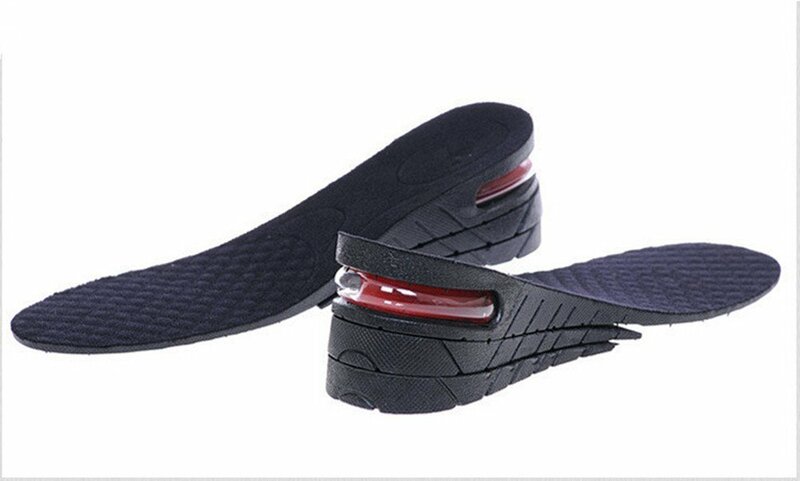 The insole is thinner in the front and then thicker in the heel. Because the overall outersole on the Vertigos are thinner, they're still a little shorter than the Ladystars, however. By making myself wear these as often as possible, I think I've really increased my self confidence; knowing that I can manage a bike on my tiptoes and that I won't just drop the bike because I'm not flat footing it. I cannot emphasize this enough. Self confidence doesn't come from your boots, it comes from YOU. One of the more unique features on these are the patented Tecno VR calf adjustment system. It means that you can fully open the calves and adjust the fit, based on your calf size. They're a little larger to begin with to accommodate leathers, but it's nice to have a little more space just in case. The mechanism is easy to use and responds quickly to adjustments. 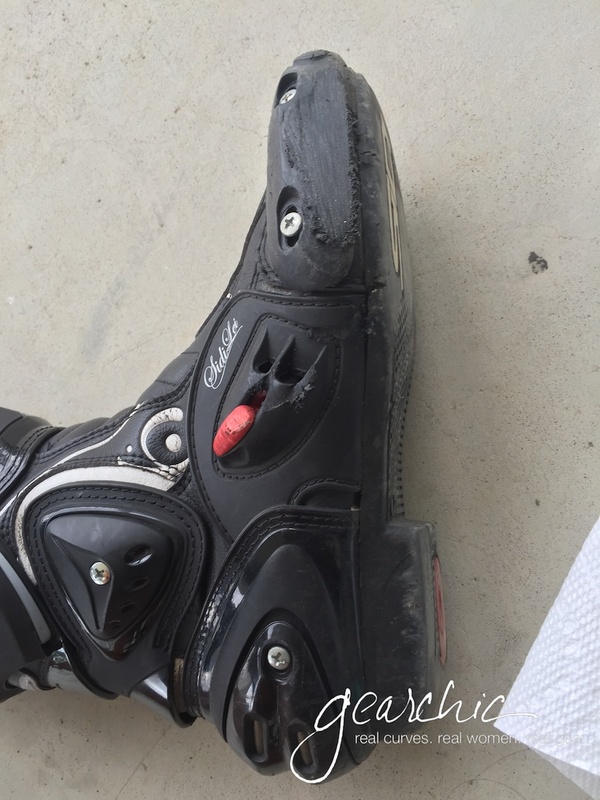 While I was riding in the miserable heat last month, I was SO happy to have the small vent on the side of each boot. They seem so small, how could they let any air in? Well, they definitely do! That's probably the downside to these boots, they're just not a cold weather boot. Once the temp drops below 60 degrees with windchill, it can feel a little cool down there. These aren't perforated, and only allow for ventilation through these vents. However, the Lorica seems to breathe really well. The combination of my husband's super awesome running socks (thanks honey!) that I stole for both of my trips and the Vertigos made my feet so much more comfortable, especially when it was 90 degrees out. I highly, highly recommend wearing a pair of running socks like these in the summer (even better than my smart wool socks, and my tech socks). 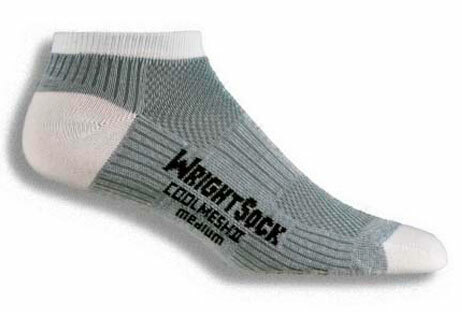 Or some kind of tech sock that's going to wick the moisture away from your feet and allow them to breathe. I notice that made a huge difference on my overall comfort level, and how smelly my feet would be after a long day of riding (my feet also tend to sweat a lot, and wearing these completely minimized that). MotoNation wanted me to let you know as well that they also offer a full line of performance based tech socks too, so there are definitely a range of options out there. It's really going to increase your overall comfort level and keep you more comfortable for those long rides / road trips. Fortunately, I haven't crash tested these boots, but I'm confident that they would save my ankles / feet from serious (i.e. more than a sprain/fracture) injury. Although these don't have their torsion control system like the Vortices and STs, there's still a very rigid piece of support from the calf to the ankle. It certainly offers more protection than my Daytonas, in addition to the added ankle support and shock absorbing heel cup. You might be wondering what all the screws are for. Well it's actually a really convenient feature. If you do crash in these boots, you won't need to replace the entire boot. Just the parts that need to be replaced. Every piece with a screw can be easily removed. Wouldn't you rather spend ~$100 replacing everything vs. $300 again? I now wear these Vertigos every day. I rarely wear my Ladystars, unless it's cold and raining. Once the weather starts to change in the Fall, then I'll probably go back to them. But for now, the Vertigos are lighter and less bulky and almost as comfortable. I don't really notice the difference until about 6 hours in, when my feet are swelling and my toes start to feel a little crammed. But riding for 4 days through Northern California from 50 - 100 degrees was comfortable and easy. I have a rather wide foot. Not super wide, but a B-C. Due to the way Sidis fit (with the exception of the women's Fusion), they are a little wider towards the front of the foot and have a considerable amount of heelspace. These definitely have a wider stance all around in the footbed, ankles and heels. I wish the fit was a little bit closer to the Fusion everywhere. If you have a narrow foot, I don't think an insert will help with the side to side space. If you try these on and the only thing that feels off about the fit is the heel/arches, replacing the sole is an easy fix. There are many types of insoles on the market. You can find cheap ones at your local drug store/Target/Walmart or super fancy ones at your local sporting goods store. They all offer additional comfort that you may not have gotten otherwise. Just don't forget to discard the thin, white insole that's included. As I mentioned above, I put in 2 Dr Scholls inserts. Not just for comfort and a little extra height, but for better fit. These had a lot of play in the heels and it was driving me crazy until I put them in. I can now work in them for 6-8 hours. They're more comfortable on the bike as well. A little added extra padding in the sole helped minimize the vibration felt through the footpegs too. 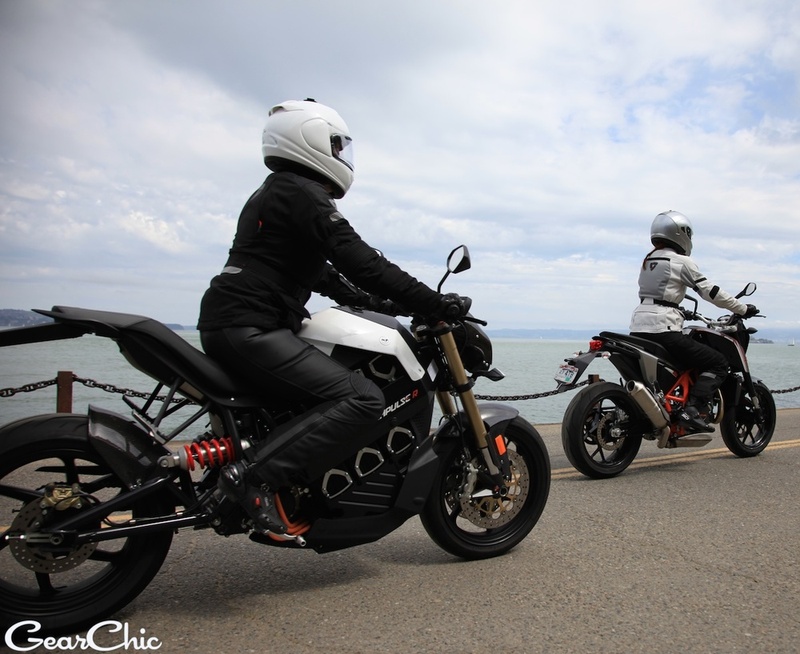 Another reason to wear really great protective motorcycle boots! My ankles are average for a smaller woman so rather narrow. Unfortunately the fit there can't be fixed with anything. It's not so roomy that they don't feel secure, but I do wish they were a tad bit narrower in the ankles, just a few centimeters. The calf adjuster doesn't affect that part of the boot. I think they're roomy there so that if you tuck leathers into them, there will be plenty of space. Before I added the inserts, the ankle protection was actually rubbing against the calf protector on the side. Keep in mind that if your ankles are narrow, your feet may slide forward into the toe box. 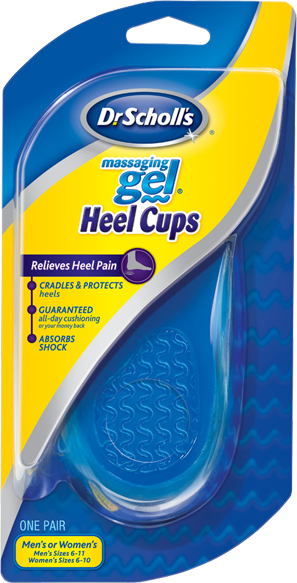 Adding heel cups to stabilize the back of your heel will help keep them from pitching forward. If you're making the transition from a sport touring boot to a sport boot, aside from the more aggressive forward fit, you'll also notice a thinner, flatter fit near your toes. The reason for this is because the boot is designed for sport riding position, it needs to be easier to get your foot under the shifter. And to have more dexterity there to feel the shifter as well. When your footpegs are right below you, an extra thick sole will make it a little harder for your foot to get under there. Which is something you will notice on a sport touring boot. The footpeg/shifter position is also different on a sportbike vs. cruiser vs. dual sport vs. offroad. I wear these riding the Brammo too and find them perfectly comfortable. I think these would be comfortable on a standard riding position, and a supermoto or dirtbike position. But not so much on a cruiser with the footpegs so far in front of you. Overall, I think these are great all around boots, even for touring and commuting. I do wish the fit was a little snugger in the ankles/heels but still think they're a great option otherwise, since they offer the most protection of any women's specific riding boot on the market. Update 9/2013: These are still my primary riding boots (if it isn't 30-40 degrees or raining) especially in 90-100 degree weather. The Lorica breathes exceptionally well! Update 6/24/2014: I recently added a Superfeet (green) full insert with a 3/4 length Dr Scholls insert on top. The SuperFeet insert added stability for my heel so that my toes aren't being smushed into the toebox. Because the heel/ankle area is so loose, adding this insert was crucial to make it fit right. Before I did this, I had the two Dr Scholls above and they just didn't work right for me. If you're a size 6.5 you will definitely need to add a substantial insole or two to make these work. My ankles are pretty skinny compared to the amount of space in these boots so the additional insoles are crucial.